How would you respond if someone accused you of being a coward? How would you feel if others mocked your appearance? What if a group of individuals criticized you for being “all talk and no action” when you were not present to defend yourself? What if you worked to build a ministry where none had existed only to have an array of critics with a “higher level of authority” follow in your absence with an attempt to discredit you and lead others into error? These examples are not unlike the issues that Paul the Apostle faced in writing to the church at Corinth- and these unfortunate realities will help to account for the aggressive change in tone we will encounter as we enter 2 Corinthians 10. Beginning in chapter ten and continuing through the rest of this letter, Paul will turn to address a group of false teachers and others who had infiltrated the Corinthian fellowship. This context will become important as Paul goes on to deal with a contingent within the church who sought to invalidate his God-ordained leadership. 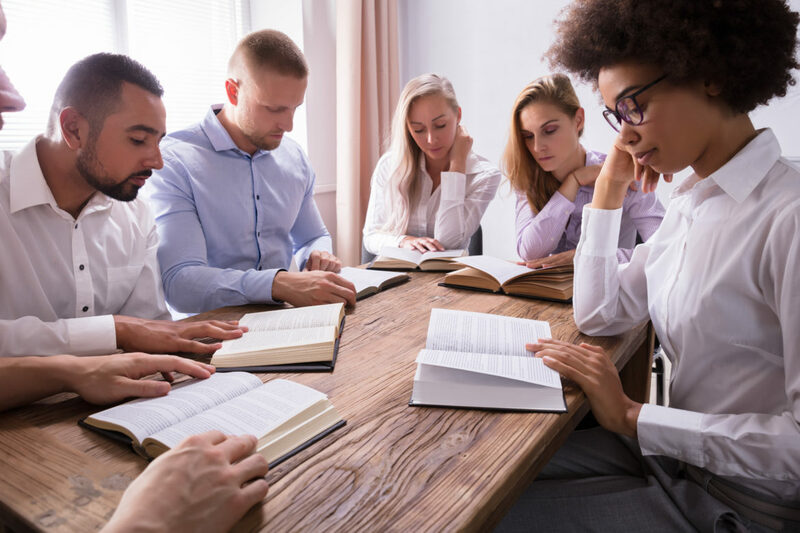 In reading through the final four chapters of 2 Corinthians, it may help to remember that the ability to effectively communicate with others sometimes comes down to finding a way to interact with them in a way they respect and understand. While the first nine chapters of 2 Corinthians were generally positive and supportive, it appears there was a minority within the church who simply refused to listen to Paul and continued to pursue a decidedly un-Christ-like agenda. “I have been talking like a fool, but you made me do it. You are the ones who should say good things about me. I am worth nothing, but those ‘great apostles’ are not worth any more than I am! When I was with you, I patiently did the things that prove I am an apostle—signs, wonders, and miracles” (NCV). So just as we might delay some unwelcome news as long as possible, it appears that Paul waited until the end of this letter to communicate a strongly-worded message he surely wished he did not have to deliver. “Now I, Paul, myself am pleading with you by the meekness and gentleness of Christ—who in presence am lowly among you, but being absent am bold toward you. But I beg you that when I am present I may not be bold with that confidence by which I intend to be bold against some, who think of us as if we walked according to the flesh” (2 Corinthians 10:1-2). The abrupt shift in tone from 2 Corinthians chapter nine to 2 Corinthians chapter ten has led some to speculate that the final four chapters of this Biblical letter are not original to the text. But we can account for these differences by examining the intended audience for each portion of this letter. Consider the opening words of 2 Corinthians chapter one: “From Paul, an apostle of Christ Jesus by God’s will, and Timothy our brother. To God’s church that is in Corinth…” (CEB). So while Paul the Apostle served as the primary author of this letter to the church, Timothy was also involved to some degree. With this in mind, here is how 2 Corinthians chapter ten begins: “Now I, Paul, make a personal appeal to you… I beg you that when I am present I will not need to be bold with the confidence by which I plan to challenge certain people who think we are behaving in an unspiritual way” (HCSB). Notice that Timothy is no longer involved in this portion of this letter to the Corinthian church- we now have a direct plea from Paul himself. We should also notice that Paul’s target audience has shifted as well; he is now focused upon a specific group within the church “…who say that we act from worldly motives” (GNT). (1) Hindson, E. E., & Kroll, W. M. (Eds.). (1994). KJV Bible Commentary (p. 2358). Nashville: Thomas Nelson. l, myself entreat you, by the meekness and gentleness of Christ—I who am humble when face to face with you, but bold toward you when I am away!—I beg of you that when I am present I may not have to show boldness with such confidence as I count on showing against some who suspect us of walking according to the flesh” (2 Corinthians 10:1-2 ESV). While meekness is sometimes equated with weakness, it is more accurately defined as “power under control.” Jesus serves as the personification of that definition for He, “…being in very nature God, did not consider equality with God something to be used to his own advantage; rather, he made himself nothing by taking the very nature of a servant, being made in human likeness. And being found in appearance as a man, he humbled himself by becoming obedient to death— even death on a cross!” (Philippians 2:6-9 NIV). So a person who exhibits meekness is someone who is marked by the positive qualities of graciousness, courtesy, and humility rather than the negative qualities of egotism, arrogance, and/or self-centeredness. Unfortunately, it appears that Paul’s critics within the Corinthian church mistook his meek demeanor as a sign of timidity and a reluctance to address their inappropriate behaviors in person. This was more than just an insult. It meant that Paul was acting in weakness and cowardice as he represented Christ in his face to face interaction with the members of the Corinthian church. It also meant that he was guilty of hypocrisy since he was alleged to be one way in his correspondence but something quite different in person. Not surprisingly, Paul corrected that misunderstanding with a dose of reality: had not disciplined those individuals because he was afraid to do so but because he hoped they would not force him to do so. Those who wished to avoid such discipline could simply apply Paul’s counsel from his earlier letter to the church at Corinth: “If we would examine ourselves, we would not come under judgment” (1 Corinthians 11:31 CJB). “For though we walk in the flesh, we do not war according to the flesh. For the weapons of our warfare are not carnal but mighty in God for pulling down strongholds, casting down arguments and every high thing that exalts itself against the knowledge of God, bringing every thought into captivity to the obedience of Christ” (2 Corinthians 10:3-5). Like any good author, Paul the Apostle employed various literary devices to capture and engage his reader’s attention. We can find one such example in the passage quoted above. In this instance, Paul employed the same word (“flesh”) in two different contexts. The first instance (“though we walk in the flesh“) serves as a reference to our everyday lives. The second instance (“we do not war according to the flesh“) refers to the human-oriented strategies that one might use against an opponent. When used in a spiritual context, the word flesh speaks to the weaknesses that are common to humanity as well as the best (or worst) anyone can do in his or her own strength. Thus, a person who lives “in the flesh” is someone who depends entirely upon his or her natural ability without any guidance, direction, or help from God. One Biblical version clarifies this idea by rendering 2 Corinthians 10:3 in the following manner: “We live in this world, but we don’t act like its people” (CEV). This portion of Scripture also makes use of a related term: carnal. When used in this manner, “carnality” involves a preoccupation with the body and the satisfaction of whatever it may desire. Carnality might best be described by the phrase, “If it feels good, do it.” In general, a carnal person is someone who is more concerned with looking and feeling good and less concerned with being good. “for the weapons of our warfare are not human weapons, but are made powerful by God for tearing down strongholds. We tear down arguments and every arrogant obstacle that is raised up against the knowledge of God, and we take every thought captive to make it obey Christ” (2 Corinthians 10:4-5 NET). What does it mean to “take every thought captive to Christ”? For example, how should we respond when a hateful, malicious, or derogatory thought occurs to us? Perhaps we didn’t mean to engage in such thinking but suddenly, an inappropriate, blasphemous, or offensive idea seemingly materialized out of nowhere. How should we react when such things take place? Well, the first step in addressing this issue is found in the New Testament book of 1 John: “If we confess our sins, He is faithful and just to forgive us our sins and to cleanse us from all unrighteousness” (1 John 1:9). We can begin to establish a more God-honoring thought life when we recognize the sinful nature of such thoughts and seek God’s forgiveness through Christ. We can then ask for God’s help to think and act in ways that are good and acceptable to Him. In this manner, we can begin to “…keep every thought under control in order to make it obey Christ” (NIRV). In these instances, it’s helpful to remember that God is greater than our feelings, our consciences, or our emotions. If God (who is all knowing, all powerful, and all good) says we are forgiven, then we are forgiven no matter what our thoughts, feelings, or emotions may tell us. Remember, “Whenever our conscience condemns us, we will be reassured that God is greater than our conscience and knows everything” (GW). We’ll look at some additional strategies to help establish a more God-honoring thought life and “…take every thought captive to obey Christ” (ESV) next. “The weapons we use in our fight are not made by humans. Rather, they are powerful weapons from God. With them we destroy people’s defenses, that is, their arguments and all their intellectual arrogance that oppose the knowledge of God. We take every thought captive so that it is obedient to Christ” (2 Corinthians 10:4-5 GW). There are several strategies we can use to help bring “…every thought into captivity to the obedience of Christ” (ASV). The first involves nothing more than stopping to reject an inappropriate thought in the name of Christ as soon as it occurs. Jesus authorized us to take this action when He said, “If you abide in Me, and My words abide in you, you will ask what you desire, and it shall be done for you” (John 15:7). Whenever an offensive thought occurs, simply reject it in the name of Christ. Remember the wise old adage that says, “You can’t stop a bird from flying over your head but you can stop it from making a nest in your hair.” The way to avoid the bird’s nest of an inappropriate thought life is to reject an inappropriate thought in the name of Christ as soon as it occurs. There are probably few Christians who have not struggled with an inappropriate thought life at one time or another. Perhaps this is why 1 Corinthians 10:13 tells us, “…remember this– the wrong desires that come into your life aren’t anything new and different. Many others have faced exactly the same problems before you” (TLB). This is not an excuse for doing wrong but serves to remind us that every true follower of Christ must deal with a sinful nature. Finally, we should remember that God knows us for who we are and He is gracious towards those who sincerely desire to honor him. Anyone who truly loves God but struggles with an inappropriate thought life should take comfort in the words of 1 Corinthians 8:3: “…if someone loves God, then they are known by God” (CEB). “We are also ready to punish every act of disobedience, whenever your obedience is complete” (2 Corinthians 10:6 NET). A hammer can be an effective tool, but it may not be the best tool to use in every instance. While a young or inexperienced worker might immediately reach for a hammer to complete a task, a wise craftsman knows it is sometimes best to leave the hammer in the toolbox until he or she has exhausted other options. But even though an experienced professional may begin with other, more gentle methods to achieve a desired result, it doesn’t mean that he or she will not resort to the use of a hammer if it becomes necessary. In a similar manner, 2 Corinthians 10:6 tells us why Paul the Apostle had not yet disciplined those who had been disobedient within the Corinthian church. You see, it appears that there were many within the congregation were open to acting upon Paul’s counsel. Unlike those who dismissed Paul’s meek demeanor as a sign of weakness, these individuals were receptive to his guidance and were actively working to implement it- and once those members of the Corinthian fellowship had come to full repentance, Paul was ready to discipline those who remained. “The Lord says, ‘I will guide you along the best pathway for your life. I will advise you and watch over you. Do not be like a senseless horse or mule that needs a bit and bridle to keep it under control’” (Psalm 32:8-9 NLT). So this passage served as a warning for those who were willing to accept it. To quote from Paul’s earlier letter to the Corinthian church, “God’s kingdom is not just talk, it is power. When I come to visit you, would you prefer that I punish you or show you love and a gentle spirit?” (1 Corinthians 4:20-21 GW). (1) Constable, Thomas. DD. Notes on 2 Corinthians 2017 Edition (10:6) “http://www.planobiblechapel.org/tcon/notes/html/nt/2corinthians/2corinthians.htm” Copyright © 2017 Thomas L. Constable. “Do you look at things according to the outward appearance? If anyone is convinced in himself that he is Christ’s, let him again consider this in himself, that just as he is Christ’s, even so we are Christ’s” (2 Corinthians 10:7). Much like the bewildered Dr. Watson, the Apostle Paul’s detractors within the Corinthian church “saw but did not observe” in regard to his calling as an apostle. While these critics saw him perform the signs of an apostle, they did not associate those works with the Authority who stood behind them. Thus, Paul’s response in the verse quoted above can be understood in two ways. Regardless of their motive, Paul’s critics were probably employing a double standard; they apparently claimed authority from Christ while denying Paul’s apostolic authority at the same time. As we’ll see in the next two chapters, Paul will go on to invest a considerable amount of time in debunking that argument in order to establish his credentials as a genuine apostle. “For even if I should boast somewhat more about our authority, which the Lord gave us for edification and not for your destruction, I shall not be ashamed—lest I seem to terrify you by letters” (2 Corinthians 10:8-9). One important aspect of Paul’s relationship with the church at Corinth involved his authority as an apostle. To help prepare the members of the Corinthian fellowship for what was to follow, Paul made certain to call their attention to a primary function of that role: “…this authority is to build you up, not to tear you down” (NCV). How are we fulfilling our role in the positions of authority that God has extended to us? Are we executing those responsibilities in a God-honoring manner? Do we faithfully utilize the skills, talents, and abilities that God has given us in performing those duties? “Each one should use whatever gift he has received to serve others, faithfully administering God’s grace in its various forms. If anyone speaks, he should do it as one speaking the very words of God. If anyone serves, he should do it with the strength God provides, so that in all things God may be praised through Jesus Christ…” (1 Peter 4:10-11 NIV). We have different gifts, according to the grace given to each of us. If your gift is prophesying, then prophesy in accordance with your faith; if it is serving, then serve; if it is teaching, then teach; if it is to encourage, then give encouragement; if it is giving, then give generously; if it is to lead, do it diligently; if it is to show mercy, do it cheerfully” (Romans 12:3, 6-10 NIV). So Paul faithfully exercised his God-given authority to help counter those who were tearing down the members of the Corinthian fellowship through their teachings. In doing so, he provides us with a good example to follow today. “‘For his letters,’ they say, ‘are weighty and powerful, but his bodily presence is weak, and his speech contemptible.’ Let such a person consider this, that what we are in word by letters when we are absent, such we will also be in deed when we are present” (2 Corinthians 10:10-11). There is a apocryphal document from the 2nd century that alleges to provide us with a physical description of Paul the Apostle. It tells us that Paul was “…a man of little stature, thin haired upon the head, crooked in the legs, of good state of body, with eyebrows joining, and nose somewhat hooked…” If that description is accurate, then it may explain why there were some among the Corinthians who felt that Paul was rather unimpressive in person. “Some of you have become arrogant, as if I were not coming to you. But I will come to you very soon, if the Lord is willing, and then I will find out not only how these arrogant people are talking, but what power they have” (1 Corinthians 4:18-19 NIV). However, Paul did not limit this approach to those who were under his authority (such as the members of the Corinthian church). Even when it came to matters involving the other Apostles, Paul did not shy away from correcting error. For example, consider this comment from Paul’s New Testament letter to the Galatians: “…when Peter came to Antioch, I had to oppose him to his face, for what he did was very wrong” (Galatians 2:11 NLT). While some may choose to refrain from issuing such reprimands in the interest of business, social, or political expediency, Paul was different. Paul understood that it was better to address such issues head-on rather than allow their destructive influence to continue and grow. While Paul may have been hurt by this reference to his personal appearance, we should note that he did not dwell on the emotional aspect of these negative comments. Its been said that criticism often represents the cost of leadership and it appears that Paul was ready to pay that emotional price in order to advance God’s agenda for his life. “For some say, ‘Paul’s letters are demanding and forceful, but in person he is weak, and his speeches are worthless!’ Those people should realize that our actions when we arrive in person will be as forceful as what we say in our letters from far away” (2 Corinthians 10:10-11 NLT). In philosophical terms, the false teachers within the Corinthian church were engaging in an Ad Hominem attack against Paul the Apostle. “Ad Hominem” is a Latin term that means “to the man” and it describes an attack upon the reputation, authority, appearance, personality, or another aspect of someone’s character without respect to the merit of his or her argument. While Paul surely did not appreciate the characterization given to him in the passage quoted above, he could at least take solace in the fact that his opponents had to resort to such tactics in the absence of any substantial argument against his teaching. Nevertheless, these verses offer some insight into the way that others may seek to engage those who represent Christ today. You see, this passage appears to describe a first-century attempt to “build a narrative” as a way of discrediting Paul and his message. This involved an effort to associate Paul with a negative personality trait (weakness) and characterize his speaking style as worthless (NLT), despicable (HCSB), and utterly contemptible (AMP). Notice that these characterizations had nothing to do with the actual content of Paul’s message; instead they served as tools that were designed to help diminish Paul’s influence. Of course, those who possessed a basic grasp of Biblical history were surely aware that God had done some of His best work through others who had little to offer. That list included a reluctant public speaker (Moses), a fearful future military leader (Gideon), and a prophet who felt he was too young for the job (Jeremiah). Other examples included Jesus’ own disciples, a group comprised of four fishermen, a tax collector, a skeptic, a political extremist, and four nobodies. Therefore, anyone who sought to invalidate Paul’s authority on the basis of these qualities despite the evidence of God’s hand upon his ministry did so at their own risk. (1) Constable, Thomas. DD. Notes on 2 Corinthians 2017 Edition (10:9-10) “http://www.planobiblechapel.org/tcon/notes/html/nt/2corinthians/2corinthians.htm” Copyright © 2017 Thomas L. Constable. “We do not dare to classify or compare ourselves with some who commend themselves. When they measure themselves by themselves and compare themselves with themselves, they are not wise. We, however, will not boast beyond proper limits, but will confine our boasting to the field God has assigned to us, a field that reaches even to you” (2 Corinthians 10:12-13 NIV). One issue involving the false apostles within the Corinthian church involved the standard of measurement they used to gauge themselves and their work. You see, a measurement is only as accurate as the standard one employs- and those who “use themselves to measure themselves” (NCV) are likely to end with an inaccurate evaluation. “All of a person’s ways seem right in his own opinion, but the Lord evaluates the motives” (Proverbs 21:2 NET). “You may believe you are doing right, but the Lord will judge your reasons” (Proverbs 16:2 NCV). Since these “leaders” within the Corinthian church failed to keep their eyes on the road that God had established for their lives, they deviated to a path they had not been authorized to travel. Unfortunately, we can fall into a similar error today if we allow “what I want” to supersede “what God wants for me.” The issue is this: something that seems good may not be good if it lies outside God’s agenda for our lives. Remember that Moses wanted to lead the Israelites into the Promised Land but was not permitted to do so. King David sought to build a Temple in Israel but was not allowed to construct it. Paul the Apostle wanted to be released from an unspecified physical ailment he will later describe as “a thorn in the flesh” but God did not agree to it. These examples represented good things that would have been wrong for those individuals if they had pursued them. This does not mean we can’t step forward in a venture of faith in those areas where God has called us. However, it does mean that we should measure ourselves by how closely we adhere to God’s agenda. In the words of 2 Corinthians 10:13, “…Our goal is to measure up to God’s plan for us…” (TLB) and we’ll consider some strategies that can help us discover God’s plan for our lives next. (1) Jamieson, Robert, D.D. ; Fausset, A. R.; Brown, David. “Commentary on 2 Corinthians 10:13”. “Commentary Critical and Explanatory on the Whole Bible”. https://www.studylight.org/commentaries/jfb/2-corinthians-10.html. 1871-8. “We will not boast about things done outside our area of authority. We will boast only about what has happened within the boundaries of the work God has given us, which includes our working with you. We are not reaching beyond these boundaries when we claim authority over you, as if we had never visited you. For we were the first to travel all the way to Corinth with the Good News of Christ” (2 Corinthians 10:13-14 NLT). “The picture Paul has in mind may be that of an athletic contest in which lanes are marked out for the different runners. In that case ‘sphere’ should be rendered ‘lane’ (also in 2Co_10:15-16). What skills has God has given me? What God-given talents or abilities can I develop? What do I “see” that others don’t? What energizes or inspires me? What work would I do even if I wasn’t paid for it? The answers to these questions can often help identify God’s calling on our lives. In contrast, some of the “leaders” who followed the Apostle Paul in Corinth caused great spiritual damage by choosing to enter an arena where they did not belong. Those individuals might have had productive lives and ministries if they had chosen to adhere to the limits that God assigned them. Unfortunately, they exceeded those limits by failing to accurately measure themselves, a decision that led to spiritual injury among the members of the church and additional work for Paul to rectify it. “Nor do we boast beyond certain limits in the work done by others, but we hope that as your faith continues to grow, our work may be greatly expanded among you according to our limits, so that we may preach the gospel in the regions that lie beyond you, and not boast of work already done in another person’s area” (2 Corinthians 10:15-16 NET). Paul the Apostle authored the Biblical book of Romans around the same time he wrote this letter to the Corinthian church. In one portion of that letter to the church at Rome, Paul spoke about his future travel plans: “I have strongly desired for many years to come to you whenever I travel to Spain. For I hope to see you when I pass through and to be assisted by you for my journey there, once I have first enjoyed your company for a while” (Romans 15:24 CSB). Since Corinth represented the outer limit of Paul’s evangelistic work during that time, the opportunity to move beyond the city into other areas (like Spain) must have been very appealing. However, there was at least one problem: Paul was forced to focus his attention upon the spiritual issues that existed within the Corinthian church before he could move forward into other fields of evangelistic work. Once the church at Corinth was back on a solid spiritual footing, the Corinthians might then participate by assisting Paul in his work. And much like some of Paul’s other traveling companions (like Barnabas, Luke, Silas, Timothy, and several others), perhaps the Corinthian fellowship might eventually produce members who could accompany Paul on his missionary journeys as well. But those things could not take place until the spiritual issues at Corinth were corrected. This illustrates the cascade effect that may result from poor spiritual choices. You see, Paul was not simply interested in planting churches; he wanted to establish churches that taught and promoted sound doctrine. The problem was that the issues in Corinth served to limit Paul’s ability to move forward into other areas of ministry. That had a negative effect upon those in other areas who might have been receptive to the message of Christ if Paul had not been forced to attend to the situation that existed within the Corinthian church. So this passage serves to emphasize the need for God’s people to move into spiritual maturity, thus enabling modern-day spiritual leaders to pursue those avenues of ministry that God has opened to them. “But ‘he who glories, let him glory in the Lord.’ For not he who commends himself is approved, but whom the Lord commends” (2 Corinthians 10:17-18). “Thus says the Lord: ‘Let not the wise man glory in his wisdom, Let not the mighty man glory in his might, Nor let the rich man glory in his riches; But let him who glories glory in this, That he understands and knows Me, That I am the Lord, exercising lovingkindness, judgment, and righteousness in the earth. For in these I delight,’ says the Lord” (Jeremiah 9:23-24). This concept of “self-commendation” is a theme that will emerge more fully in the following chapter. It also represents a subject that carries great relevance for modern-day readers of this passage. You see, one of the strongest emotional drives for most human beings involves the need to secure the approval of others. This desire is so strong that it may sometimes lead us to engage in various forms of self-commendation. For instance, this desire might be expressed through the clothing we wear. The idea is simple: if we select clothes that are intended to draw the attention of others, we thus commend ourselves as objects of interest to them. This desire might also be expressed though “selfies” or social media posts that seek validation through the number of “likes,” “follows,” or positive comments we receive. A more sophisticated example might include a seemingly modest comment that is subtly intended to solicit praise for our achievements. Nevertheless, Paul will go on to engage in a considerable amount of self-commendation over the next two chapters of 2 Corinthians. We’ll consider what he sought to achieve in charting that course next. (1) Life Application Study Bible, 2 Corinthians 10:17-18 Copyright © 1988, 1989, 1991, 1993, 1996, 2004 by Tyndale House Publishers Inc., all rights reserved. Life Application® is a registered trademark of Tyndale House Publishers, Inc.
“As the Scriptures say, ‘If you want to boast, boast only about the LORD.’ When people commend themselves, it doesn’t count for much. The important thing is for the Lord to commend them” (2 Corinthians 10:17-18 NLT). However, we can turn to a earlier dictionary to define the word “boast” in the sense that it is used in the passage quoted above. That resource provides us with the following definition: “To speak in exulting language of another; to glory; to exult.” (2) So these verses tell us that our efforts to engage in self-exultation are ultimately worthless; if anyone should be exalted, it should be God Himself. Although Paul the Apostle will go on to boast extensively over the next two chapters of this letter to the Corinthians, he did not do so for self-promotional purposes. Instead, Paul prepared the members of the Corinthian fellowship for what is about to come by first reminding them of an important principle: “What people say about themselves means nothing. What counts is whether the Lord says they have done well” (ERV). “In (2 Corinthians chapter eleven) and the next, Paul indulges in what he calls folly. He is going to engage in the foolish business of speaking well of himself. It is not that he wants to do this at all. It was positively distasteful to him. But he asks the Corinthians to bear with him as he thus makes a fool of himself. (4) Philip E. Hughes, Paul’s Second Epistle to the Corinthians p. 371 quoted in Constable, Thomas. DD. Notes on 2 Corinthians 2017 Edition (10:17-18) “http://www.planobiblechapel.org/tcon/notes/html/nt/2corinthians/2corinthians.htm” Copyright © 2017 Thomas L. Constable.